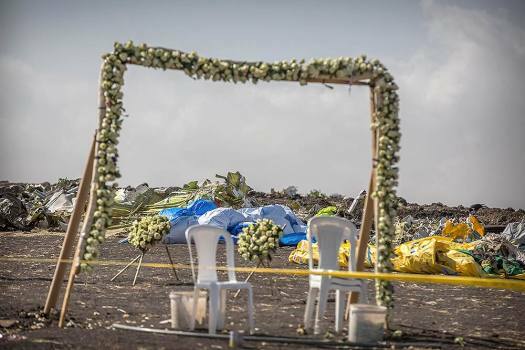 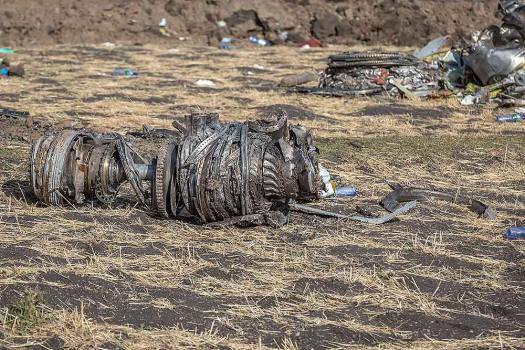 Personal belongings on the ground at the crash scene of an Ethiopian Airlines flight crash near Bishoftu, or Debre Zeit, south of Addis Ababa, Ethiopia. 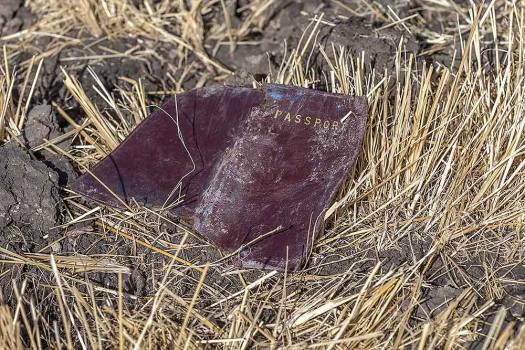 A passenger passport lies on the ground at the scene of an Ethiopian Airlines flight crash near Bishoftu, south of Addis Ababa, Ethiopia. 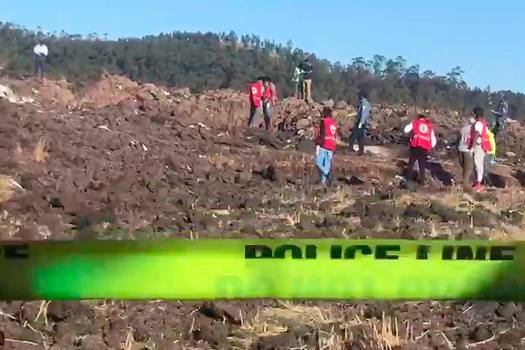 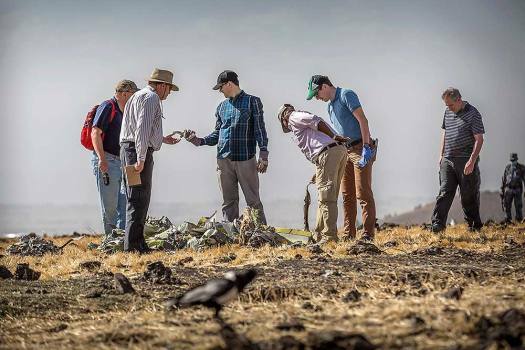 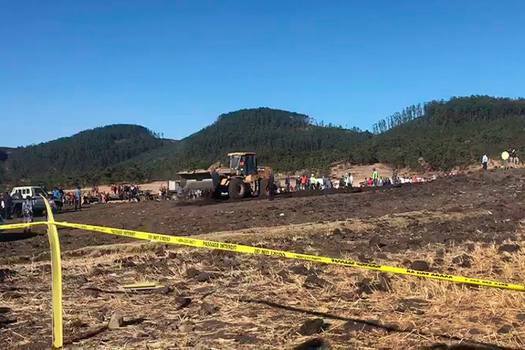 Workers gather at the scene of an Ethiopian Airlines flight crash near Bishoftu, or Debre Zeit, south of Addis Ababa, Ethiopia. 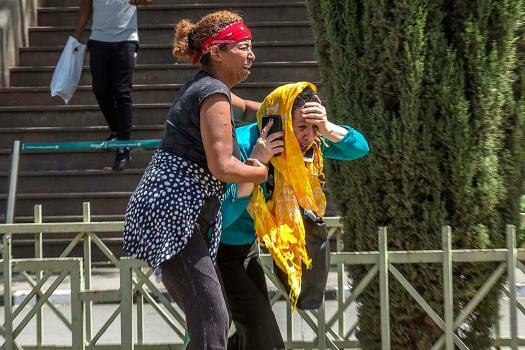 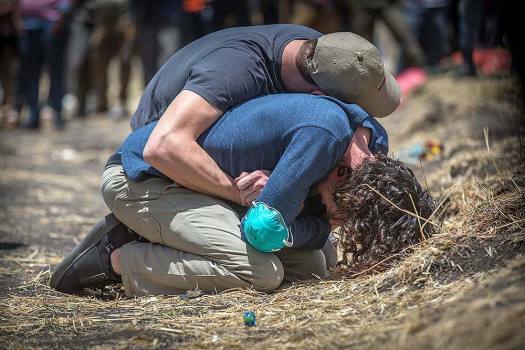 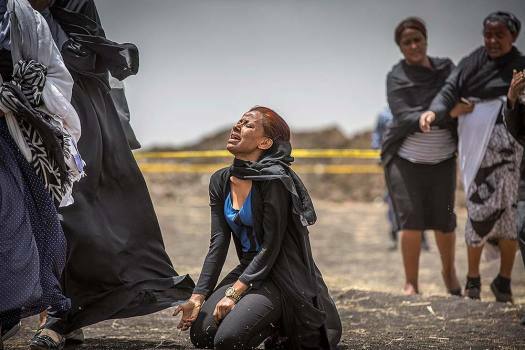 Family members of the victims involved in a plane crash react at Addis Ababa international airport. 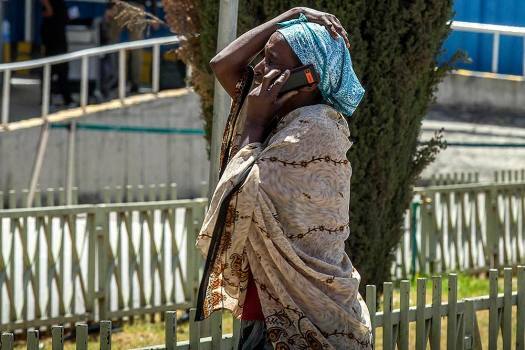 A family member of a victim involved in a plane crash talks on a mobile phone at Addis Ababa international airport. 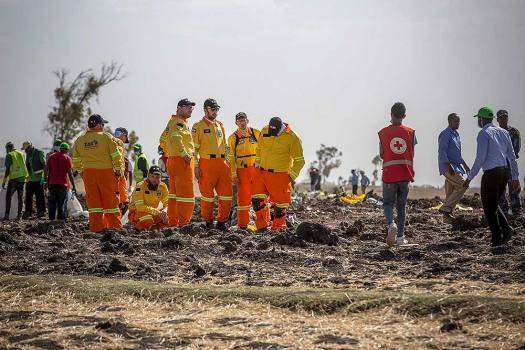 Rescuers remove body bags from the scene of an Ethiopian Airlines flight that crashed shortly after takeoff at Hejere near Bishoftu in Ethiopia. 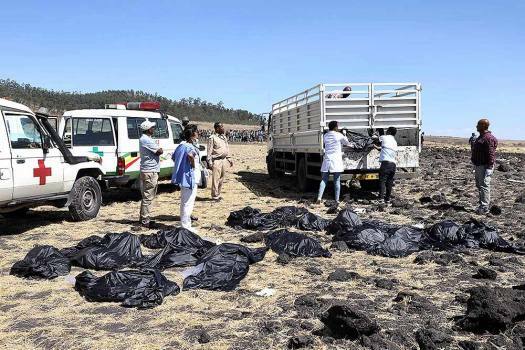 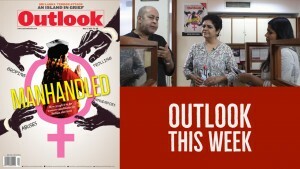 The development comes as the manufacturer struggles to cope with the fallout from both the Indonesia crash and another in Ethiopia this month. 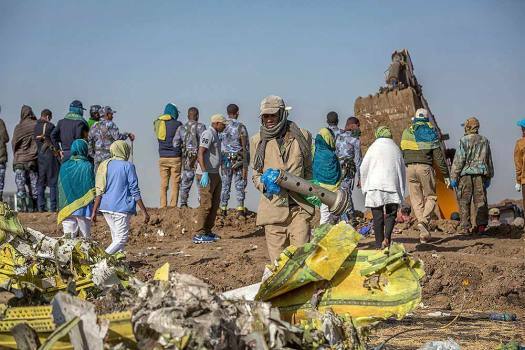 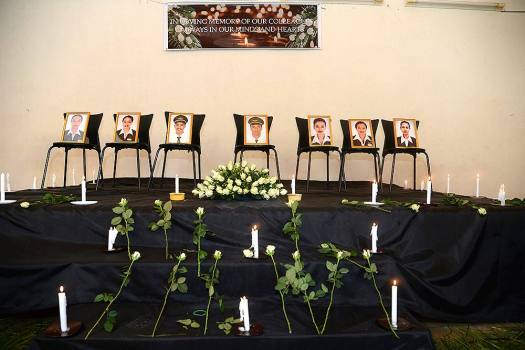 All 157 people aboard Ethiopian Airlines Flight 302 died early Sunday shortly after the plane took off. 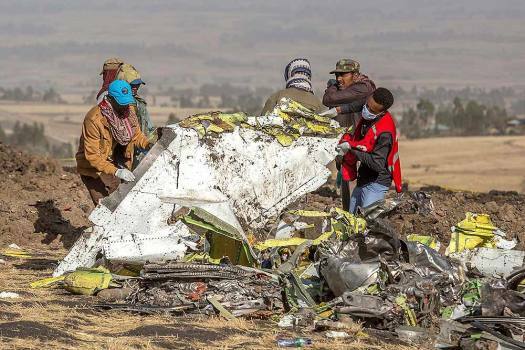 The pilot reported an unspecified problem and was trying to return to the airport. 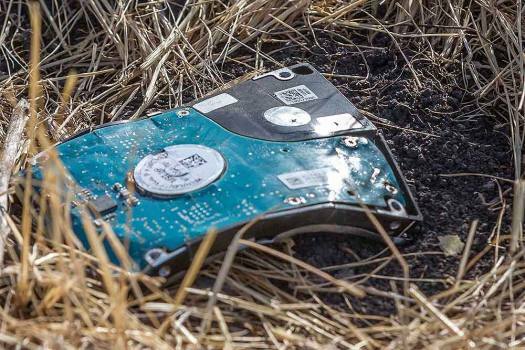 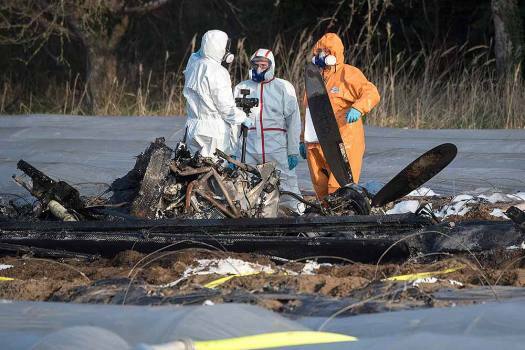 US Federal Aviation Administration acting chief Daniel Elwell said the black box flight data recorders had been damaged. 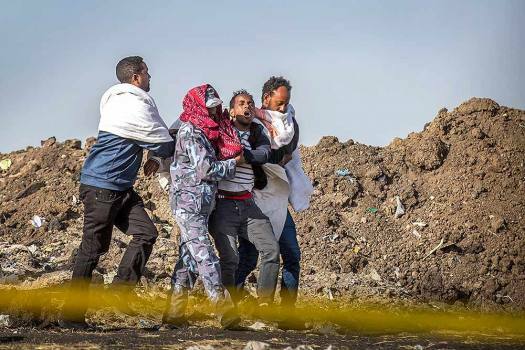 The United States is one of the major last countries to have taken a decision to ground Boeing 737 Max 8 and 9 aircraft. 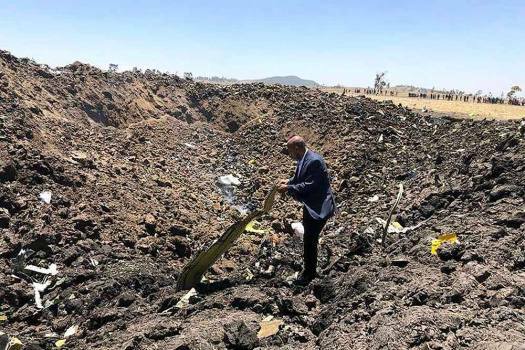 These planes would be grounded till further orders. 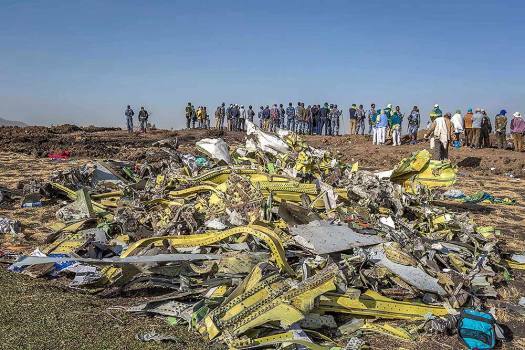 SpiceJet has around 12 '737 Max 8' planes in its fleet, while Jet Airways has five.